Belfast full-service firm Millar McCall Wylie has been named Northern Ireland Law Firm of the Year at the prestigious Legal 500 awards ceremony in London. The firm, celebrating 21 years in business, has recently experienced double-digit growth and seen its corporate team increase revenue by 100 per cent over the last three years. 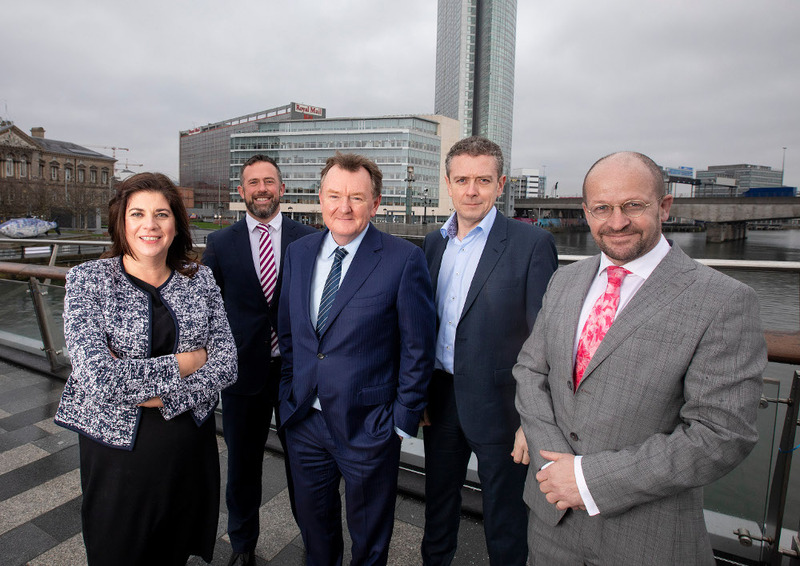 It has also achieved an employee retention rate of 95 per cent across its two offices in Belfast, and plans to grow its team of 30 by 20 per cent with further hires across 2019. Clients of the firm have included global and national brands such as Microsoft, Starbucks, Amazon, Xbox Studios, Subway, and Scottish Power, and local businesses like MJM Marine, Learning Pool, Northern Ireland Screen, Ulster Rugby and McAleer & Rushe. Last year Millar McCall Wylie advised on the £70m financing of the 227,000 sq ft Merchant Square office development in Belfast City Centre. It also handled the sale of windfarms for clients for a sum in excess of £60m and the firm additionally acted on the global TV series Game of Thrones and Line of Duty together with film and TV projects for Netflix, HBO, ESPN, and BBC amongst others. Managing partner Peter McCall said: “Our growth over the last 21 years has been driven by our firm focus on people, with real opportunities to build careers and with all partners and teams working together with quality clients both in Northern Ireland and across the globe. “From the outset, we have continually invested in the firm and created a hands-on progressive culture, and this top accolade is one that we are truly delighted to receive.